And coffee needs people and nature to thrive. Discover how the Sustainable Coffee Challenge is changing lives and making your morning cup better in the process. 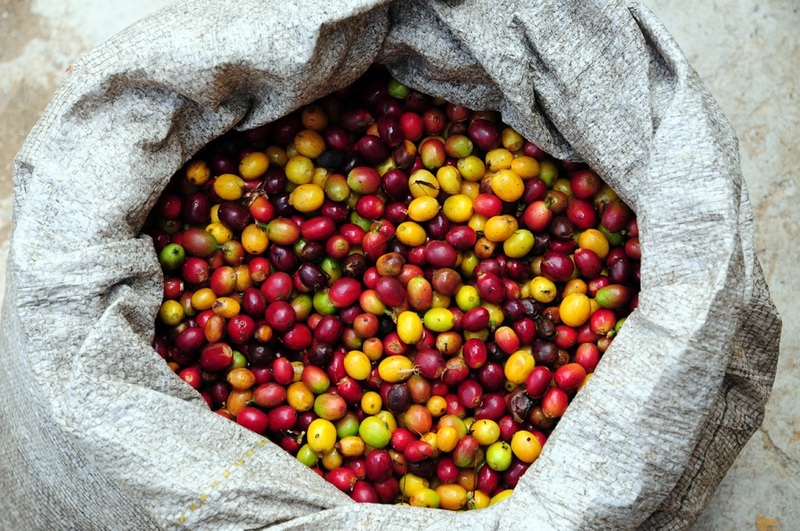 The coffee we drink depends on the health, prosperity and well-being of 25 million coffee producers, 10 million hectares of coffee farms, and the continued ability of nature to sustain them. The Sustainable Coffee Challenge is a collaborative effort of companies, governments, NGOs, research institutions and others to transition the coffee sector to be fully sustainable. Challenge partners are urgently working together to increase transparency, align around a common vision for sustainability and collaborate to accelerate progress toward those goals. Conceived by Conservation International and Starbucks and launched during the 2015 Paris climate meetings with 18 founding partners dedicated to coffee sustainability, the Challenge aims to stimulate greater demand for sustainable coffee. The movement has since grown to more than 100 international partners. The Challenge is facilitated by Conservation International, with the agenda and actions led by Challenge partners. Together, these change makers work to find solutions for the coffee community. "It's time to think about coffee beyond our daily cup. Coffee holds the promise of driving sustainable agriculture and farmer prosperity across commodity crops and engaging hundreds of millions of people around the globe in sustainable living." Ensure coffee contributes to improved income and profitability for the 25 million coffee producers, workers and their families. Implement sustainable agricultural practices to triple productivity on existing 10 million hectares of coffee to sustain supply and enable the sector to meet rising consumption and the growing demand for coffee in a socially and environmentally responsible way. Prevent the clearing of one additional hectare of high conservation-value forest or depleting other natural resources for enhanced coffee production. The Future of Coffee. Watch it on YouTube. A select group of leaders that represent our partners guide the strategic direction of the Challenge. How do we sustain coffee production to meet future demand while supporting livelihoods of producers and workers, and conserving the forest and freshwater ecosystems that sustain coffee and communities that produce it? The Challenge hosts a place for stakeholders to publicly state their commitments to sustainability and report on progress over time. By shedding light on commitments made by stakeholders throughout the sector, we can better leverage them to form new partnerships and inspire others to act. While the coffee sector has invested heavily in sustainability for decades, we recognize that the complex issues facing the sector require a wide range of solutions and commitments. Transparency of sustainability commitments means stating them in a shared space and reporting on progress. Start tracking your journey. Although great progress has been made in the past 20 years, the sector lacks a clear and common understanding of what is meant by sustainability. The Sustainable Coffee Challenge has developed a definition of success for the sector, with long-term goals, as part of a broader sustainability framework designed to show how our individual initiatives contribute to a collective effort to transform the sector. See how your contribution fits into the greater whole. At the Challenge, we seek to spark further collaboration across the sector toward collective goals. We believe that collective action is vital to accelerate the movement and achieve our vision. It takes all of us to get to scale. We can't stop here. We all have a role to play. By uniting industry, governments, nonprofit organizations and others, we can tackle the complex issues facing coffee and ensure the long-term supply. Finding industry-wide solutions that positively impact all facets of the sector – from farm to consumer - will only be accomplished by working together.